I've been along time fan of animal prints so when this spring/summer's trend was the literal animal prints and jewelry I was on total board with it. I still kick myself for not buying the Elephant scarf that I saw at the Gap at the beginning of the season! 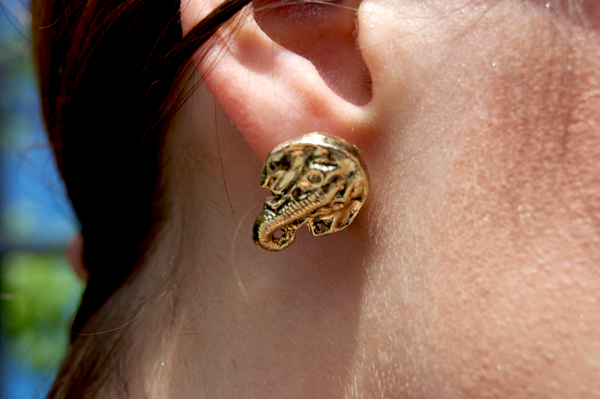 But these Shopbevel Elephant Stud Earrings help fill my animal craving accessory needs. I love that these earrings have a vintage feel to them and came in the cutest straw pouch. Once I saw these earrings I already knew that I wanted to pair them up with different animal prints. 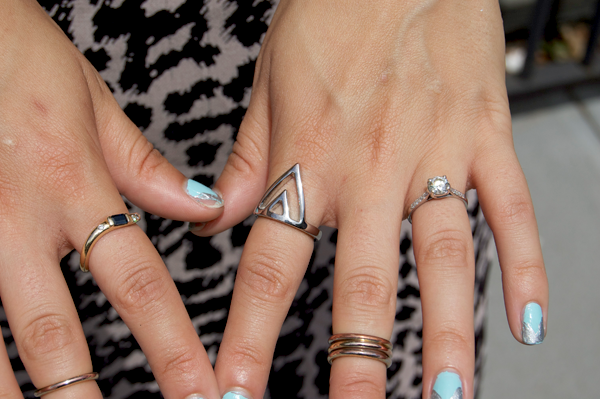 It's a fun flirty way of making a statement without being overly bold. These earrings are also fun to play around with cute vintage summer dresses to more boho looks. What do you think of the literal animal print? Animal prints are one of my favorites, I have a gold bag with an elephant on it that I just love! 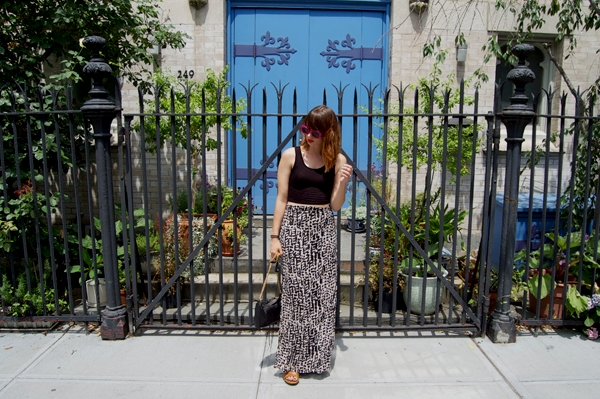 Your crop top paired with the maxi skirt is a great summer look! those studs are studs. corny but TRUTH.